My blog was given this award by 2 Good Claymates. It translates to say "This Blog is a Dream" and is a gift for beautiful and creative blogs: those that "enchant, captivate, or sweep with extraordinary beauty." Thank you very much! - Copy the award and place it in your blog. 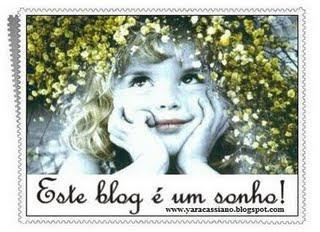 - Nominate 10 dream blogs. - Post links to the 10 blogs you nominate. - Leave a comment on each of the blogs letting them know you nominated them.